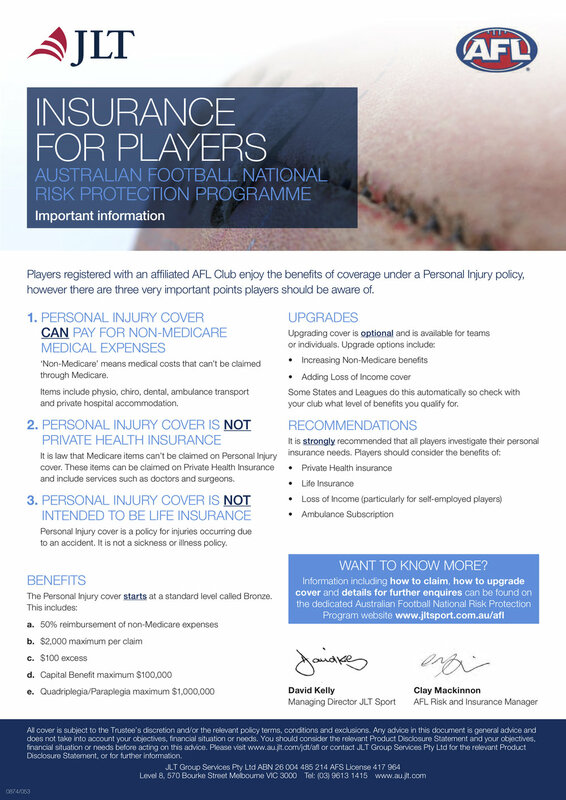 All of our players are insured through the VAFA's insurer, Jardine Lloyd Thompson (JLT). See below for a summary sheet, signed off by JLT, which gives you a quick overview of our cover in 2018- 2019, which covers the pre-Christmas training period and the season. Our club takes out the top level platinum coverage, to a total cost in the range of $15K per year. At present, we DO NOT cover loss of income. Although not perfect, it is the best possible cover we can currently provide. If you need to claim, you will need to download and print the personal injury claim form, for which you will find the link below. Other parties - e,g., your medical practitioner, a club official and/or witness - will need to complete relevant sections. Below are some information sheets downloaded from the JLT website https://afl.jltsport.com.au/ to assist you. 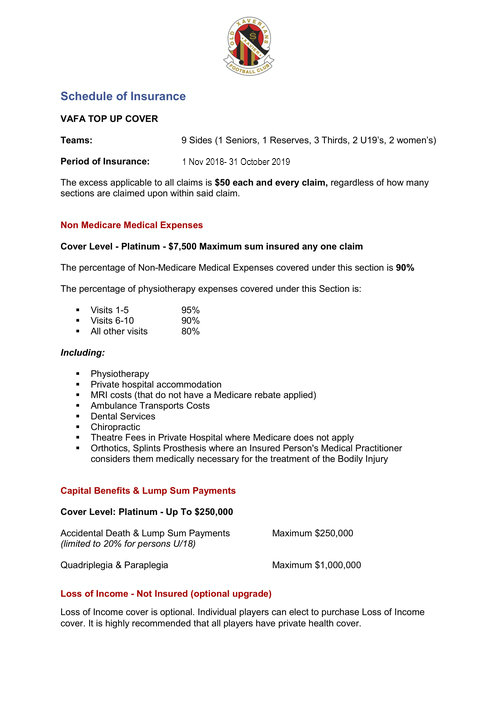 Reminder: The insurance covers only expenses that can not be claimed on Medicare. As always, we highly recommend that all players take out private health insurance and ambulance cover. Please check with your parents to see if you are covered under their private health insurance policy. - click link to download.